Having the option of voice storage can make or break any emergency. Voice storage allows for calls and messages to be stored so the user can rewind and play back a message to verify details they might have missed. This can mean the difference between life and death, so having ample voice storage is essential. Fire fighters strive for safety, so shouldn't the equipment be safe as well? 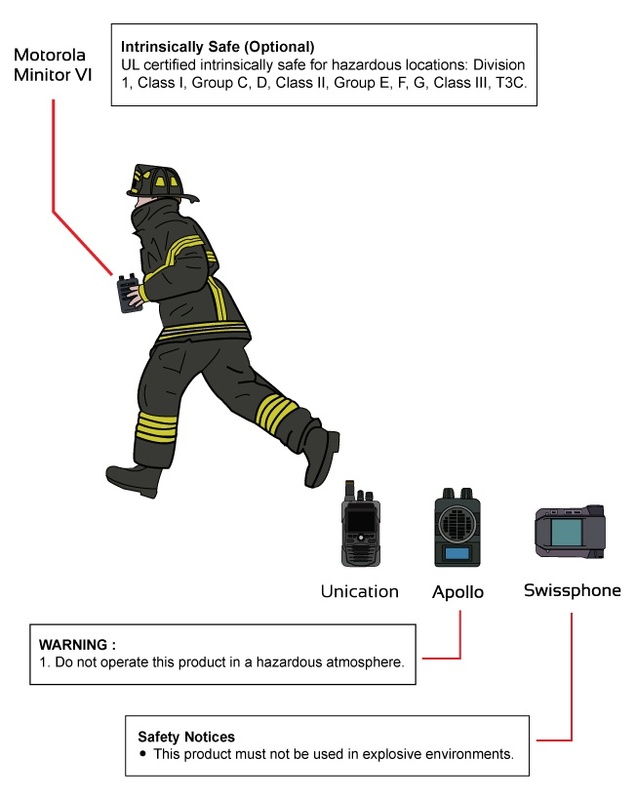 When researching different pagers, like the Swissphone pager and Apollo pager, one will find warning labels stating “Do not operate this product in hazardous atmosphere” or “This product must not be used in an explosive environment.” When your job description includes fighting in hazardous or explosive environments, shouldn’t their equipment be prepared for those environments as well? The Motorola Minitor VI was the only one with the option for an Intrinsically Safe model, meaning it is certifiably safe to be used in hazardous locations, making it the safer and more reliable option for a fire fighter. 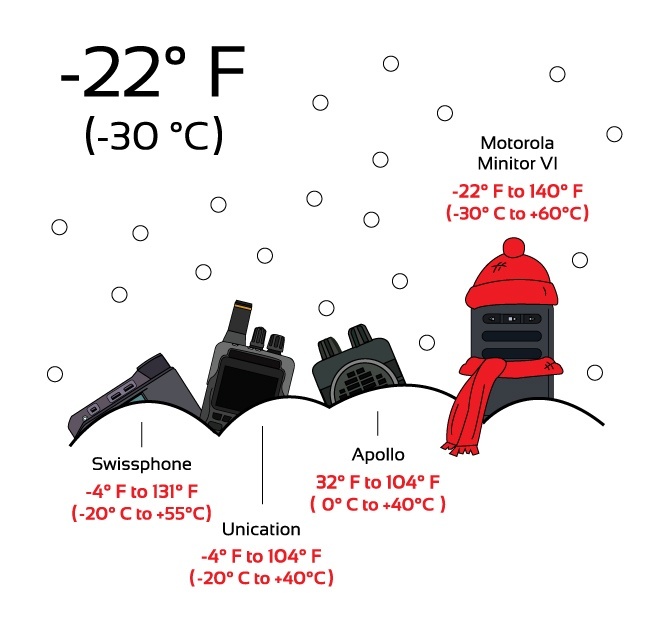 Fire fighting takes one to the most extreme of temperatures, so it is important to have a pager that can stand up to harsh temperatures one endures. 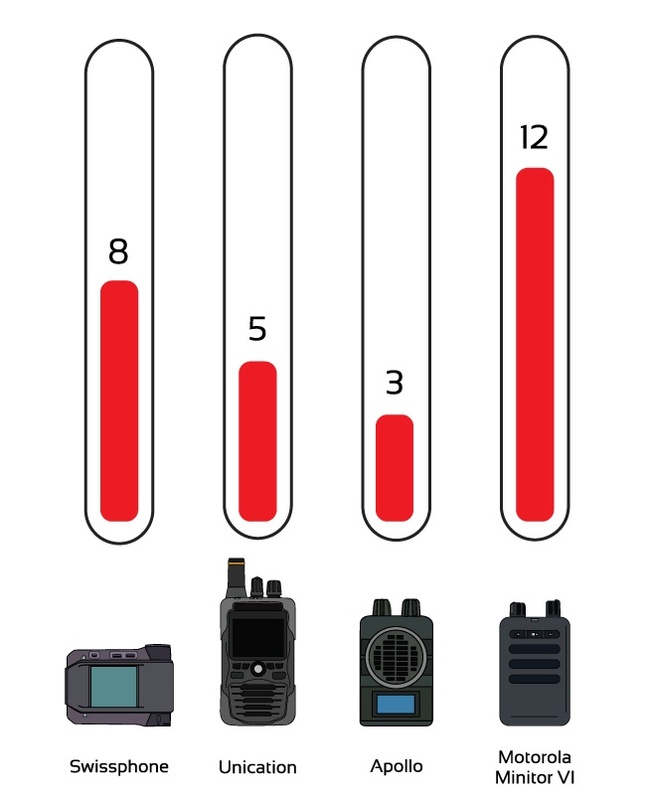 Most fire pagers have a range of about -5°F to 100°F, however, the Minitor VI has the largest range of temperatures. The Minitor VI can operate in temperatures of -22°F to 140°F, making it the most prepared for any environment. All great pagers deserve great accessories, and the more, the merrier. 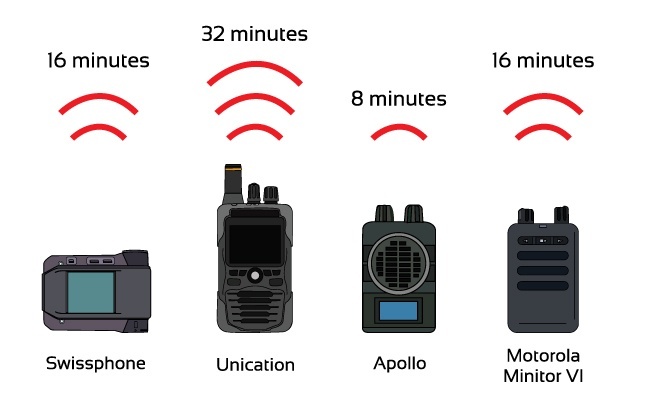 From our research, we discovered the Motorola Minitor VI has the largest number of available accessories, such as nylon carrying cases, amplifiers, li-ion batteries and alkaline battery trays, charging kits, programming kits, and belt clips. Having that many options for accessories means users can truely customize their device to their specific needs. Everyone wants to get the best product at the best price, but what really determines the value of a fire department pager are it's features and functions. 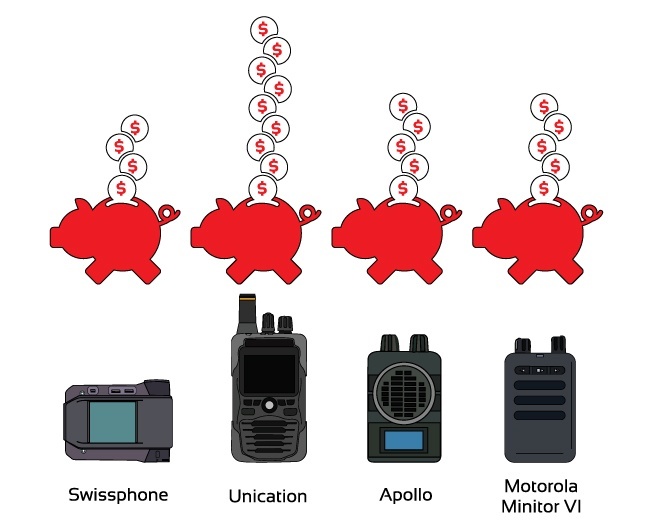 Essentially, all these pagers perform the same duty, but they range in cost from $400 to $800.The Swissphone s.QUAD, Minitor VI and the Apollo VP220 are in a similar price range, but the Unication G5 almost doubles their price due to it's features, and extra functions. Determining what you want out of your fire pager will help you plan and budget for your ideal device. When shopping for a fire pager for your department, you should always focus on the safety and reliability of the product, while taking into account the price and the functions you need it to serve. After researching these pagers, we feel the Motorola Minitor VI gives you the most bang for your buck; 16 minutes of stored voice, the only one with an Intrinsically Safe model available, greatest range of operating temperatures, the largest variety of accessories, and a price tag at the lower end of the spectrum, all makes the Minitor VI Pager our recommended choice for your department. Click Here to see more of our Fire Department Solutions.